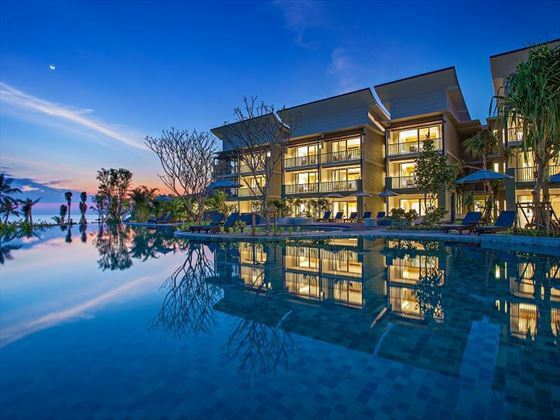 Newly open, this pretty hotel is nestled on the beautiful white sands of Bangsak beach, located in the Phang Nga region with spectacular views of the Andaman Sea. 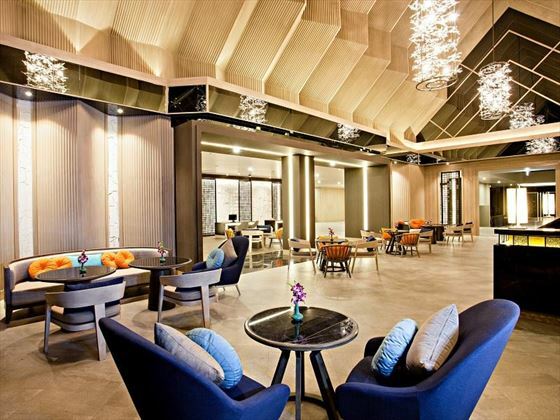 The décor here is sleek and contemporary, providing guests with comfortable, trendy rooms and modern amenities. The pool access rooms are desirably close by to the hotel’s three fabulous pools, including a large, lagoon-style oasis for you to sit in your sun lounger and soak up the sun, whilst the Superior and Deluxe rooms offer the perfect sanctuary for families. 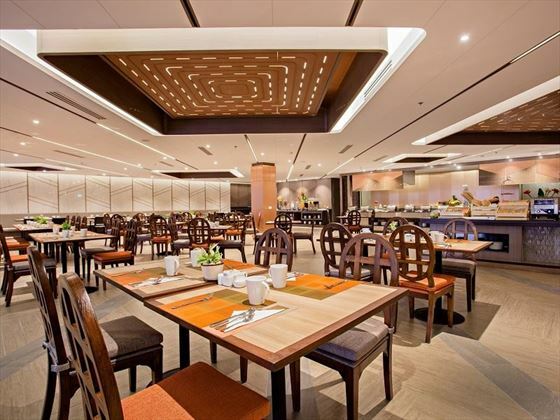 The two restaurants and three bars here mean you’ll be able to tuck in to sumptuous food every day. 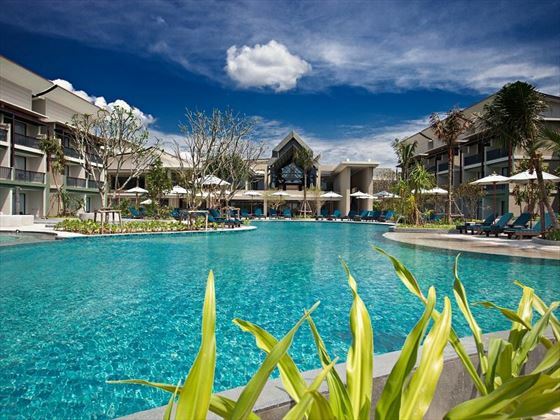 And being only a short shuttle ride to Khao Lak, you’ll be sure to find a few local restaurants and shops should you choose to leave the hotel and explore for the day. 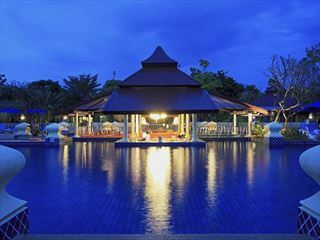 Great for families, the kids will love the playground and playroom, offering a whole host of fun as mum and dad indulge in a spa treatment and toast their holiday at the swim-up pool bar. 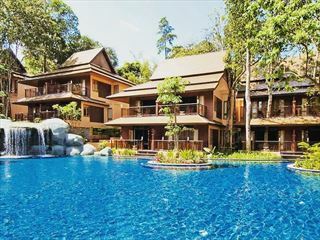 There is a great range of family-friendly rooms, including inter-connecting rooms available. 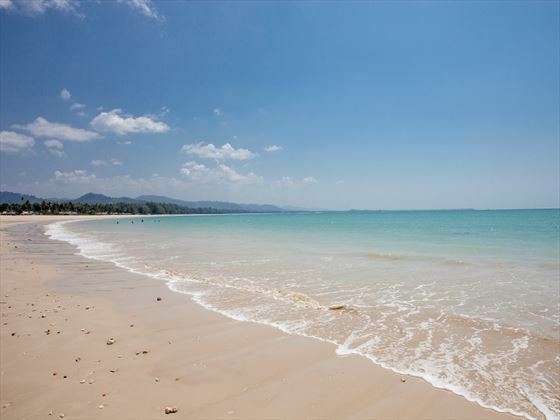 Nestled on the stunning white sand Bangsak beach, north of Khao Lak. 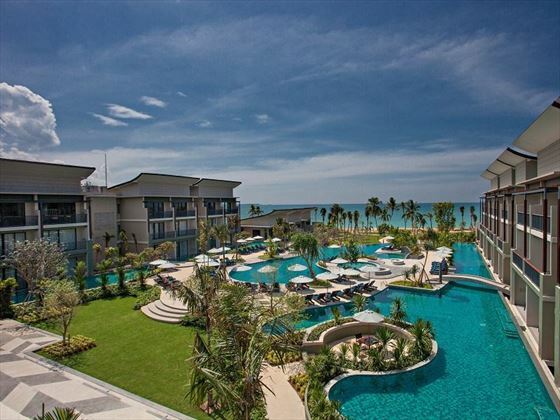 Its beachfront location offers a relaxing ambience, but with the hotel’s shuttle service, you’ll only be a short journey away from Khao Lak’s local shops and bars. The quaint town of Takuapa, with its lovely street market and sino-portuguese buildings, is only 25 minutes away, too. 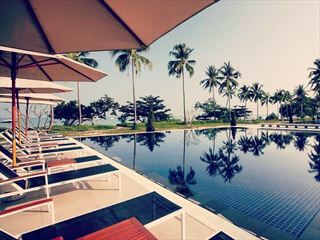 The hotel is approximately an hour and a half drive away from Phuket International Airport. 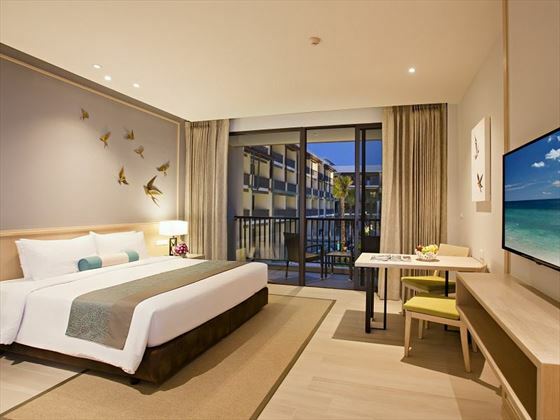 Superior Room – These sleek 45sqm rooms with modern amenities come with a king size bed or twins. These rooms sleep a maximum of two adults, or two adults and one child under 12 years old on a sofa bed. 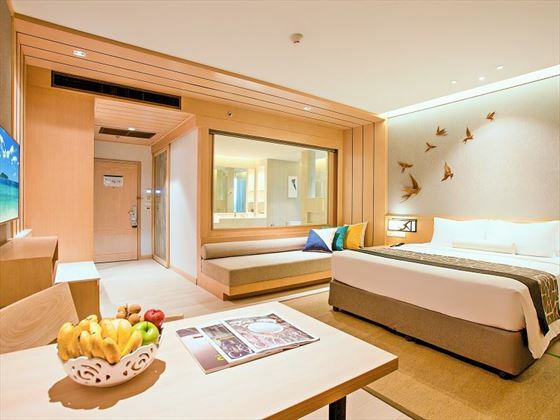 Interconnecting rooms are available and can be guaranteed at time of booking. Deluxe Room – More spacious than the Superior Rooms, with a separate bath and shower and 50sqm of space.Those with a king-size bed sleep a maximum of two adults and two children, whilst the twin room sleeps a maximum of three guests. 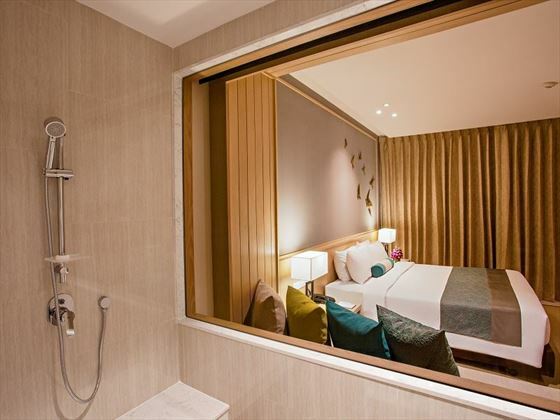 Interconnecting rooms are available and can be guaranteed at time of booking. Superior Pool Access Room – With the same amenities as before, located on the ground floor with direct access to the pool. Sleeps a maximum of two adults – children under 12 are not allowed in this room type. 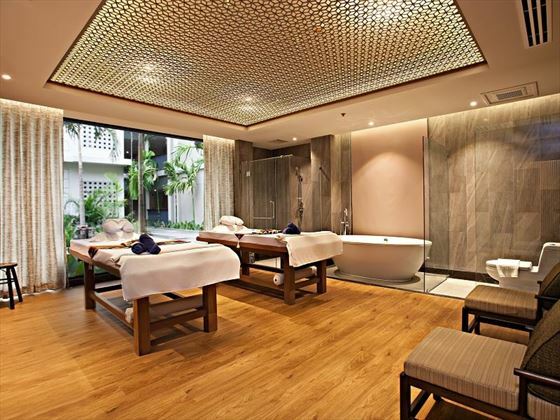 Premium Deluxe – At 65.7sqm, these rooms are the largest and most opulent, with stunning front ocean views. These rooms sleep a maximum of three guests. 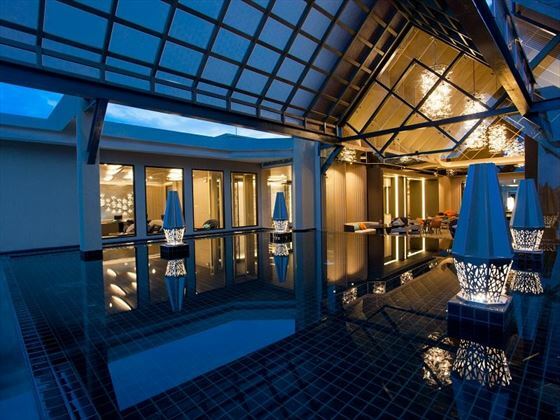 Villas – Featuring a private pool, these are available upon request. 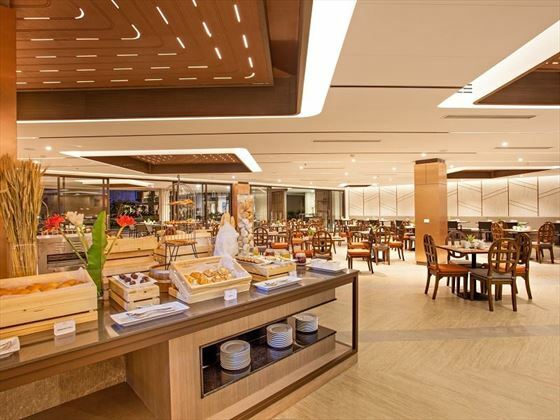 The hotel features two delicious restaurants, as well as three pool bars – one of which is a swim-up bar - and a deli shop. When staying 7 nights receive FREE upgrade and breakfast in bed on the first night.